Amazon is pushing its virtual assistant on the productivity front, with the firm announcing that its Alexa-driven devices will now support Office 365 calendars. 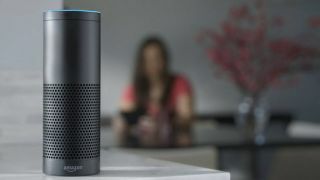 As TechCrunch reports, Alexa – the assistant which powers Amazon’s Echo and Echo Dot speakers – has already benefited from integration with Outlook and Google calendars, but the move to Office 365 shows that Amazon literally means business here. Commercial customers who subscribe to Office 365 with Exchange Online will now be able to go into the Alexa app and link their calendar up to the virtual assistant. Going forward, they will then be able to query Alexa on appointments, give instructions to add items to the calendar, and all the usual stuff you’d expect. Clearly, Amazon believes that its speakers are about more than just the smart home, but also the smart office (and as we saw last month, there’s a nifty little invention to let you use Alexa in your car, as well – pretty soon she’ll be all over the place). We can expect the virtual assistant to get more productivity-related chops in the future, no doubt. And perhaps, as we suggested in our feature on services that need Alexa adding into the mix, Skype support will be coming at some point – after all, Echo would be the perfect medium for making convenient calls.